I flippin’ love my Instant Pot! I am never together enough to put dinner in the slow cooker in the morning, so I feel like the Instant Pot was made for me. I also love using my Instant Pot for desserts, like Dairy Free Pumpkin Crème Brulee. It really makes my life so much easier. I can remember, “Oh yeah, I need to make dinner,” just before I pick my daughter up from school and still have dinner on time! I quickly prep the ingredients and toss them in my Instant Pot before I head to pick her up from school. Dinner is ready when we get home, with very little fuss. Just don’t forget to toss some rice in your rice cooker (if you have one.) 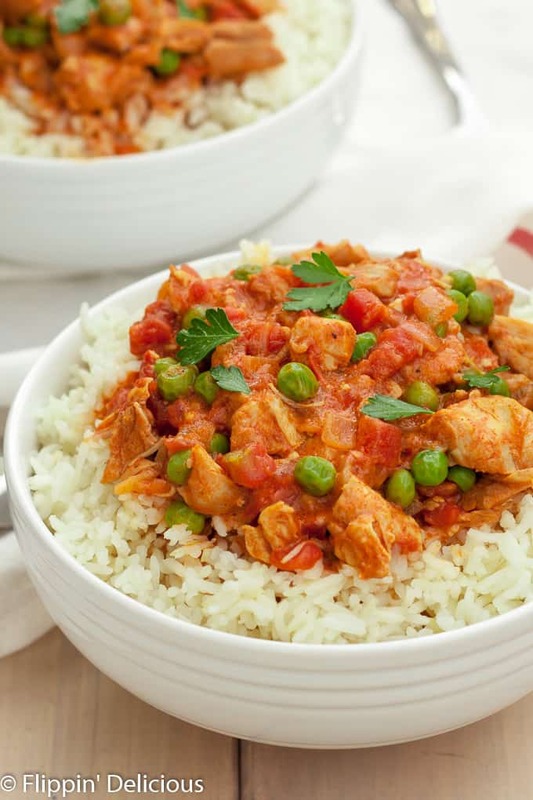 Unless you have parboiled rice on hand, the rice takes longer than the chicken tikka masala. 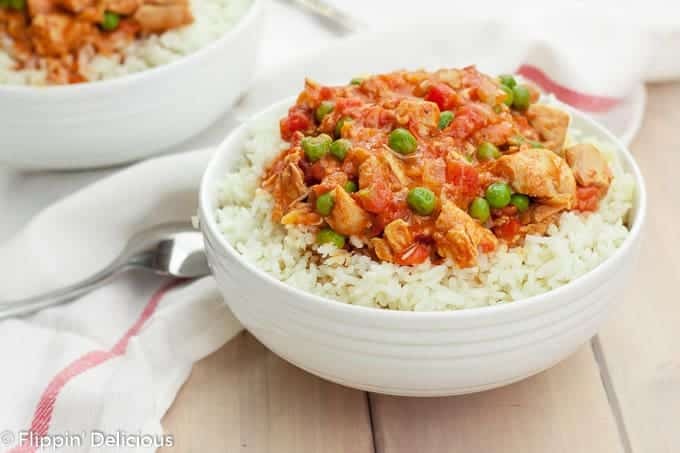 This Instant Pot chicken tikka masala is the perfect recipe for my family! 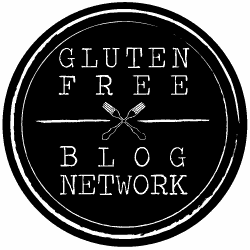 Not only is it easy, it is naturally gluten free and this recipe is dairy free too. I have a few secrets to make prep even quicker. 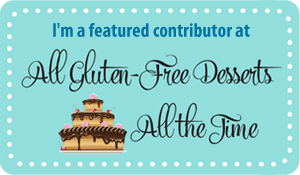 That frees up your time so you can make some giant gluten free chocolate chip cookies, or some other tasty treat. First, I used already diced onions that were frozen. They are next to the other frozen veggies in the grocery store and are seriously such a time saver. At my grocery store it is only a dollar or two for 10-ounce bag of chopped onions, which is well worth it to me. Second secret: A jar of already minced garlic. When I’m in a rush I open my jar from the fridge and just eyeball how much add to my recipe. I really love garlic and almost always “accidentally” add extra. Third, I used a tube of ginger paste. I found mine at Trader Joes by the Asian sauces and ingredients and I have also seen it in the refrigerated produce section at other grocery stores. Essentially it is already grated and peeled ginger. You get the same flavor as fresh ginger, without the hassle. If you don’t have it on hand, buy some the next time you are at the store and use ground ginger this time. Bonus tip: Whenever I use tomato paste I inevitably don’t use the entire can. I spoon the leftover tomato paste into a silicone ice cube tray (about one tablespoon per compartment) and freeze it. Once solid, I remove the cubes and store in a small bag in the freezer. Each time I need tomato paste I grab a cube or two from the freezer. Now I buy the bigger cans of tomato paste, without fear of waste! I kept my chicken tikka masala spices subtle, so my picky eaters wouldn’t scoff at it. If you like it spicier, use 2 tablespoons of garam masala. If you don’t have garam masala on hand, you can use a teaspoon of ground coriander, a teaspoon of ground cumin, ½ teaspoon black pepper, a pinch each of cardamom, cinnamon, and clove. You can also add a little red curry powder. I like to wait to add the peas until after I turn off my Instant Pot so they don’t turn mushy and brown. If you have a pea averse child like me, you can remove some of the chicken tikka masala from your Instant Pot before you add the frozen peas. You can also add the peas to each serving individually. My parents did that all the time with soups and stews when I was a kid. The frozen peas would cool it down so we wouldn’t burn our tongues. 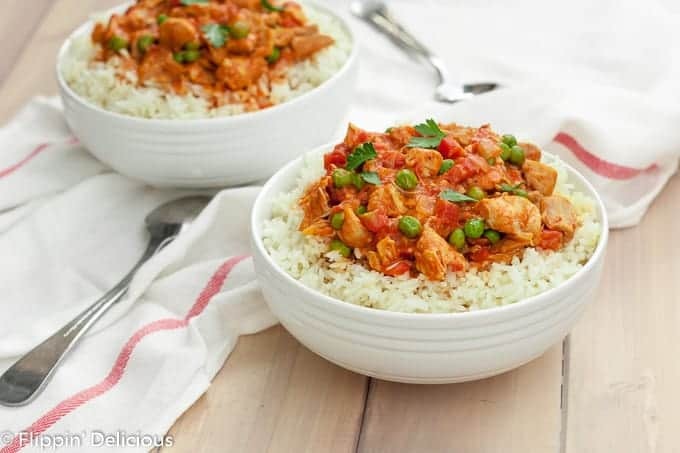 My daughter is sensitive to dairy, so I kept my Instant Pot chicken tikka masala recipe dairy free by using coconut milk. If your family loves dairy, feel free to add a spoonful or two of yogurt or use heavy cream instead. Personally, I love the flavor of the coconut milk. 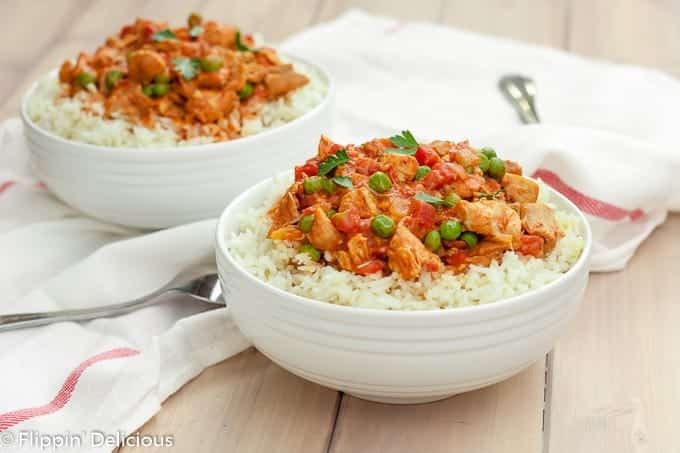 Armed with all the tricks I normally keep up my sleeve, you can have chicken tikka masala on your dinner table any weeknight! My family loved it, and the leftovers were just as good. If you are lucky enough to have a second Instant Pot, use it to make some Instant Pot Rice. The next easy chicken dinner recipe I want to try making in my Instant Pot is my friend Katie’s Slow Cooker Chicken Cacciatore. It looks scrumptious! Fantastic photo and it looks better than my local Indian restaurant! Thank you, Jules. It tastes pretty good, too.